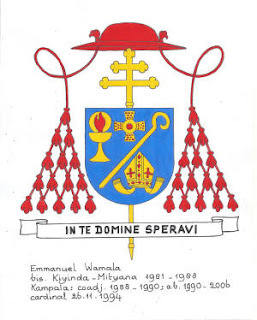 Il Servizio Petrino: Cardinal Emmanuel Wamala has written to retiring Pope Benedict XVI on behalf of Ugandans, hailing him for leading the Catholic Church in the right direction. Cardinal Emmanuel Wamala has written to retiring Pope Benedict XVI on behalf of Ugandans, hailing him for leading the Catholic Church in the right direction. After eight years of service at the helm of the Catholic Church, the pope recently announced his intention to retire due to his old age. 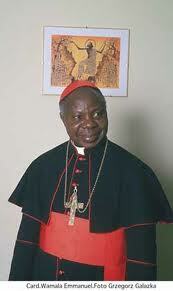 Having succeeded Pope John Paul II, he becomes the first pope to retire in about six centuries. The Ugandan cleric said that he wrote the letter after receiving an official letter from Rome informing him that the pope he took part in electing eight years ago had announced his resignation at the end of this month. He was preaching to a large congregation that converged at the landing site of the first Catholic Missionaries, Father Simeon Lourdel – popularly known as Mapeera – and Brother Amans Delmas at Kigungu, Entebbe. The two missionaries landed in Uganda some 134 years ago. He backed the pope’s decision to step down, saying the Canon Law allows him to do so. “Although the news was shocking and, to some people, it was their first time to learn that even a pope could resign, the Catholic Constitution allows him to resign if he feels that he cannot any longer perform his duties as expected,” Wamala said. During his homily, Cardinal Wamala lamented that Uganda is a wounded nation due to the numerous child and human sacrifices, child abuse, corruption, injustices, domestic violence, strikes and political unrest. 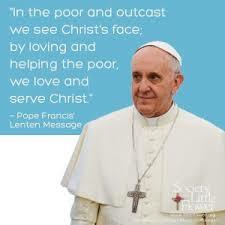 “As we are in the Lenten season we should re-examine ourselves and renew our lives as we fall in God’s ways. We, Christians should fight and resist all the temptations, remembering that this is the year that Pope Benedict XVI dedicated to faith,” he added. Christians around the world marked the start of the Lent Period – 40 days before Easter – last week with Ash Wednesday. Wamala also hailed the Father Lourdel and Brother Amans for the courage and strong faith they exhibited when they came to Uganda. He called on the youths to come out very strongly and join the different religious missionaries so that they could propagate the Catholic faith in different countries. Archbishop Cyprian Kizito-Lwanga, who was one of the co-celebrants, said that many people were asking why Mapeera and Amans had never been declared saints. A request regarding that was sent to the Holy See – the episcopal jurisdiction of the Catholic Church in Rome – and they are “awaiting a miracle performance before they could make the declaration”.